The key to gaining muscle mass is to eat a lot of calories with high-protein, clean foods. There aren’t any shortcuts, you just need a good muscle mass gain meal plan and the willingness to stick with it. People are going to try to sell you supplements and many other gimmicks that’ll help you get there faster, but that’s all nonsense for the most part. A muscle mass gain meal plan will have you completely covered and you won’t have to resort to sketchy supplements and methods. Your meal plan might include several meals a day, and you might not have the time to prepare them, which I honestly get, as you’d have to spend almost all of your free time in the kitchen. Some people tackle this by having meal prep Sundays and basically prepare everything they’re going to eat the entire week in advance. However, some people resort to ready meal delivery services and just have their meals delivered to them frozen, and all they have to do is heat them in the microwave. Besides eating high-protein, clean food, you also need to know what to do in the gym. There are a couple of variables when looking to gain muscle mass, namely intensity, volume, training until failure and rest periods. 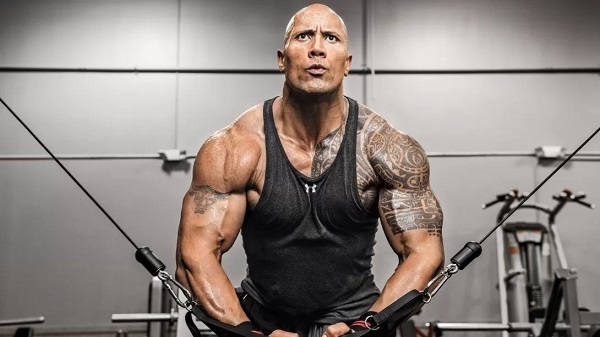 Intensity is generally misunderstood, and people think that if they work hard they’re working out intensively when that actually refers to the weight you’re pushing when compared to your single-rep maximum for that particular movement. In order to ensure you’re working intensively, you need to be capable of performing 6-12 reps with perfect form and reach muscle failure within that range. If the weight is too heavy or easy, adjust accordingly. Multiple-set and higher-volume exercises are also superior to single sets when building muscle mass, simply due to the fact that they increase testosterone levels. This will oftentimes force you into following a split routine so that you can target multiple body parts with more sets. Training to failure is exactly what it sounds like – you train until you can’t do any more reps on your own with proper form. This increases your anabolic stimulus. Lastly, pay attention to your rest periods. Ideally, you want to rest a minute to a minute and a half between sets in order to maximise your hypertrophic response.